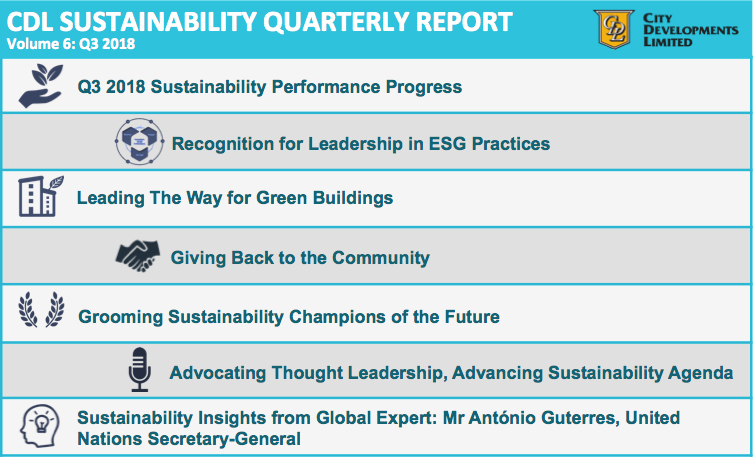 In 2017, CDL launched the CDL Future Value 2030, a new sustainability blueprint to future-proof our business towards 2030. 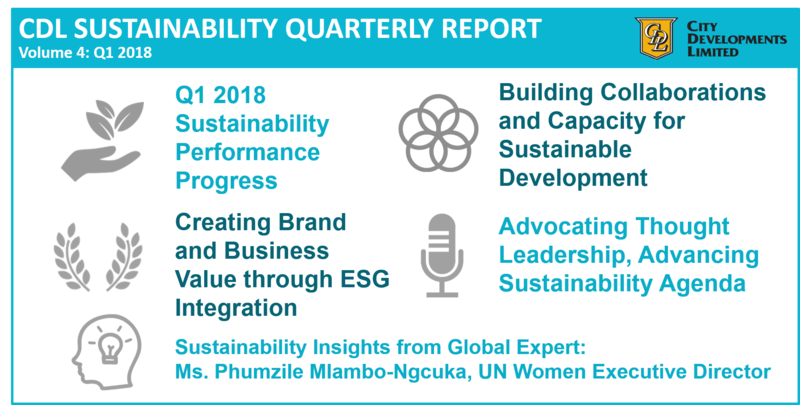 Delivering on three strategic goals, a set of clear, long-term targets was established to address Environmental, Social and Governance (ESG) issues which are material to our business and stakeholders, while supporting the United Nations Sustainable Development Goals. 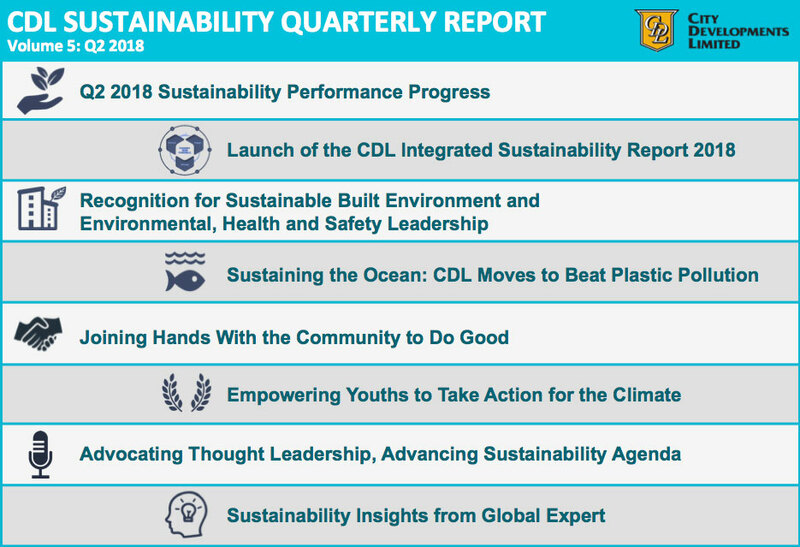 Being the forerunner in sustainability reporting since 2007, CDL is firmly committed to aligning with the global call for prompt and transparent climate-related disclosure. 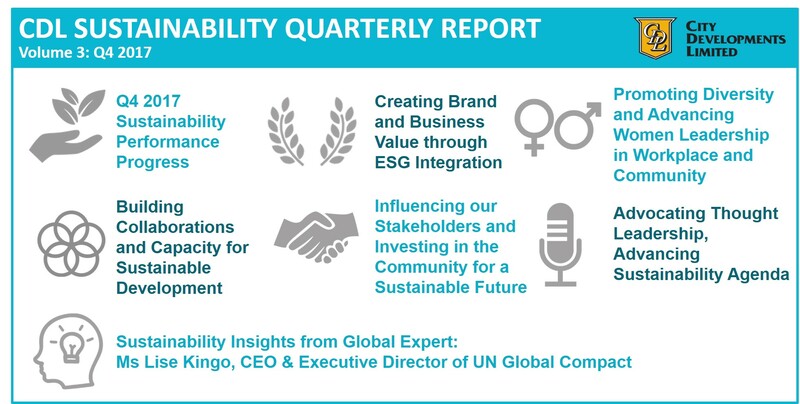 In addition to our annual Integrated Sustainability Report, CDL has taken the initiative to provide quarterly updates on our sustainability related initiatives and key ESG performance as tracked against our 2030 goals and targets in a timelier manner.